New research not only confirms the long-held suspicion that Uranus stinks, but also provides insight into how the planets in our solar system were formed. 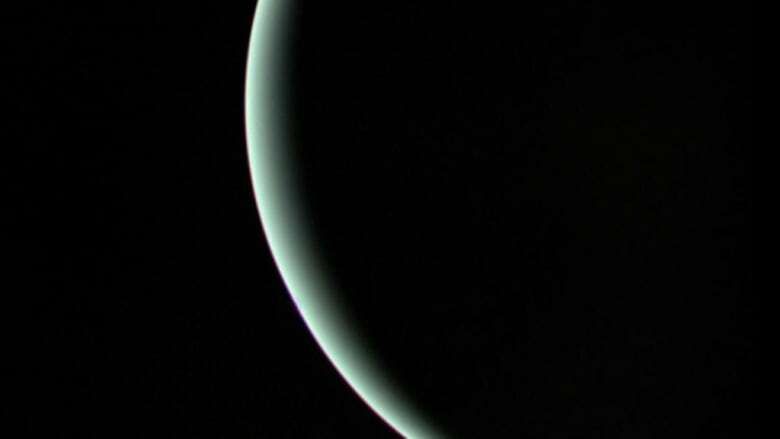 This image of Uranus taken by Voyager 2 on Jan. 25, 1986, reveals its icy blue atmosphere — which it turns out is both deadly and smelly. New research not only confirms the long-held scientific suspicion that Uranus stinks, but also provides insight into how the planets in our solar system were formed. "If [a person] could survive the fall down to Uranus, they'd smell a horrible smell of rotten eggs," lead author Patrick Irwin, a planetary physics professor at Oxford University, told As It Happens host Carol Off. "I'm not sure anyone's really looked to see what the human nose would do in a hydrogen-helium atmosphere with a bit of hydrogen sulphide, but I imagine that you would still smell this pungent aroma." Irwin says scientists have long suspected Uranus was home to hydrogen sulphide, but were unable to confirm it. "We thought it was probably there," Irwin said. "But we've never actually been able to absolutely say for certain that it really is until these new measurements we've just made, where we can actually see the fingerprints of hydrogen sulphide above the clouds." The scientists were able to make the measurements by dissecting the infrared light from Uranus captured by the Gemini North telescope on Hawaii's Mauna Kea. But beyond confirming that Uranus smells bad, the study also helps scientists better understand how and where planets formed in our solar system. 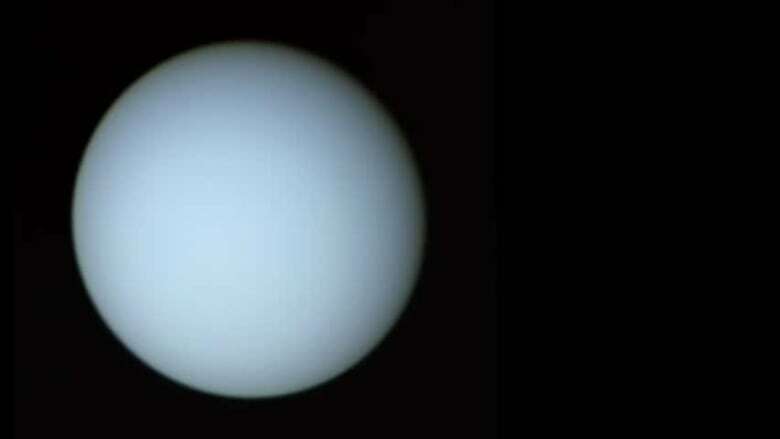 A key finding, Irwin said, is the compositional difference between Uranus and Neptune — the so-called ice giants that are farthest from the sun, and Jupiter and Saturn — the so-called gas giants that precede them. Uranus — and presumably its neighbour Neptune, Irwin says — have more hydrogen sulphide than ammonia, while Jupiter and Saturn are the opposite. That means it's likely the ice giants formed far away from the sun in a colder part of the solar nebula. "What we think is that for Jupiter and Saturn, where they formed, ammonia was probably mostly in icy form. But hydrogen sulphide was a sort of gas and so less easily absorbed as the planet grew," he said. "Whereas for Uranus, and we guess Neptune, they formed farther out where hydrogen sulphide was also in icy form and so could be collected by the planet." Irwin hopes that one day humans will send another orbiting satellite to Uranus to collect more data up close. The last time NASA did a flyby of Uranus was with the Voyager 2 satellite in 1986. But no matter how close we get to Uranus, there's no chance of having a whiff. Hydrogen sulphide in large quantities is extremely poisonous. "One of the reasons your nose is tuned to pick it up is because it's very bad for you," Irwin said. Written by Sheena Goodyear. Interview produced by Julian Uzielli.